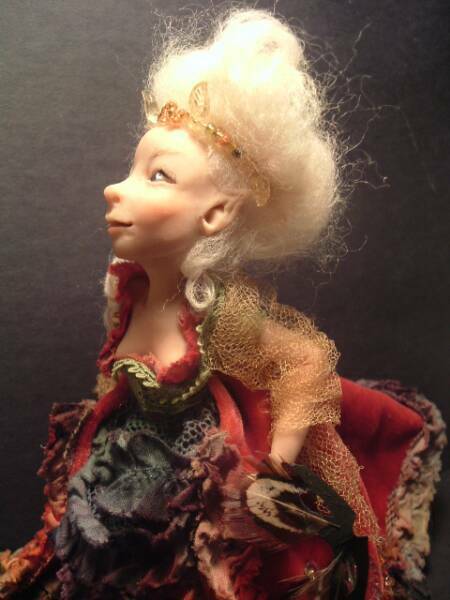 ~ If you would like to order a one of a kind hand-sculpted ,Poppenmoon Doll, please email me through my contact page. ~ All of my dolls are one of a kind. I never duplicate my dolls, however, all character types can be created. Select the type of Fairie, Elf, Pixie from my gallery and I will create one for you. Commissions are also welcome. ~ When your order is complete, I will email a photo to you for approval. You are not obligated to accept the order. If you accept the order, payment can be made via Paypal, and Money orders. ~ Shipping within the USA is included in the cost of the doll. Orders can be submitted by email on the site contact page. Please allow 3-4 weeks delivery from the time you place your order.